Don't mess around. Buy this product. 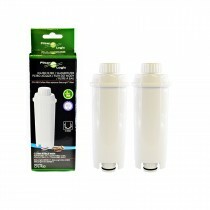 Excellent quality filters for coffee machine, price spot on delivery next day. Will use Finer filters every time . 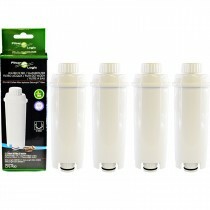 These filters are a good replacement to the Delonghi brand and are cheaper to boot. 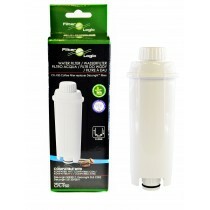 These Filter Logic filters certainly fit my Delonghi Prima Donna coffee machine well and they're certainly cheaper than the Delonghi branded filters I have been using. Just how you tell whether one is better at filtering than the other is anyone's guess, but they seem to work and last well so what's not to like about them? I am very pleased and satisfied with the product. No noticeable difference from Delonghi filter. I shall certainly buy these instead of Delonghi. Previously bought some of these as a try out because they were rated well by others. Well I have just bought another pack, which I think says it all. Good price and seems to work just as well as actual Delonghi ones. One slight critcism is that there is no easy twist calendar to mark installation date, but easy to scratch date onto the top. Superb value and fast delivery. Saved myself a small fortune by buying these filters. Just purchased a new coffee machine and these filters fit perfect and are of good quality. Really pleased with my purchase and shall buy replacements in the future.